In 2017, Benson & Bingham decided to once again give back to the community with the inception of its first annual Law Scholarship. Benson & Bingham understand the rigors of law school accompanied with the expense to become an attorney, and felt obliged to help alleviate the financial strain with their annual scholarship offer. Currently enrolled in or recently accepted to an accredited law school. A United States citizen or permanent resident. Have a cumulative GPA of 3.0 or higher. A copy of your college transcript (unofficial) must accompany the application. 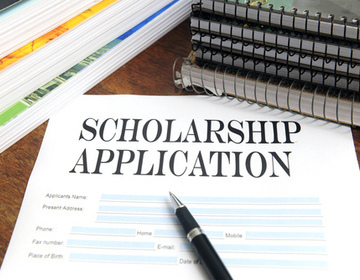 Proof of Law School acceptance or attendance must accompany the application. Applications must be received electronically by August 31, 2017 to the following email address: scholarship@bensonbingham.com. In the subject line, please reference: Benson & Bingham First Annual Scholarship Application. Questions regarding the application or process may be submitted to the above email address. Please, No Phone Calls. One grand prize winner will receive a one-time payment of $2,000 to be applied to the law school of their admission/attendance. Essays may be published by Benson & Bingham, so please refrain from submitting anything personal, vulgar or inappropriate for the web. The winner of the award will be announced by October 31st, 2017. The future of driver-less cars and how this will affect the field of personal injury. Investigate and report on the past five years of historical motor vehicle accident data in any state, and analyze what state level laws or programs have been instituted during this time to decrease the rate of such accidents. Comment and reflect on what personal injury marketing strategies in your local state have been most effective on you, and explain why. How technology will affect the practice of law. The ramifications of social media platforms on the pursuit of justice for Plaintiffs. Originality of thought or provocativeness of article. Attention to current law as well as statistical knowledge of the area of investigation. Submissions must be 100% original and never published or disseminated at a previous time. Candidates may site case law or historical record with appropriate citations to the source. Benson & Bingham welcome any and all potential candidates who meet the above criteria and complete the application by August 31st, 2017. Good luck to all the applicants of our first annual scholarship. The winning entry's submission as well as a press release will accompany the award when the winner is announced on October 31st, 2017. Did you Know: Both Joe Benson and Ben Bingham are members of the Million Dollar Advocates Forum multiple times and both were selected as Top 40 Trial Lawyers under 40 in 2012?